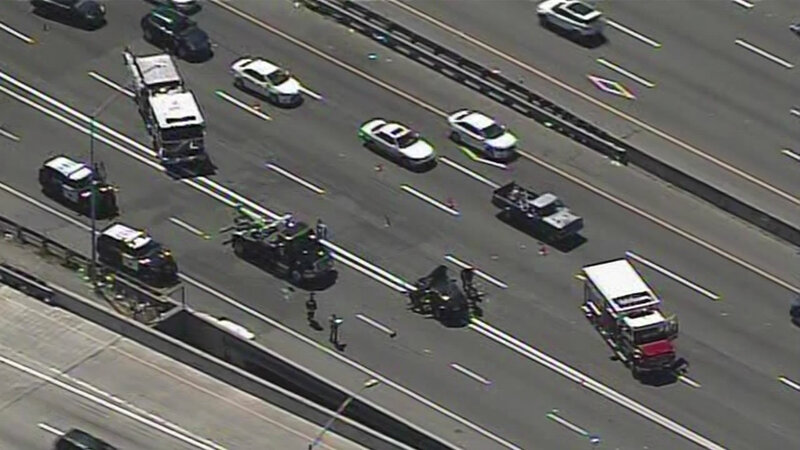 SAN JOSE, Calif. (KGO) -- Lanes on northbound Highway 101, just north of Highway 87, in San Jose have reopened after a multi-car crash. The accident, involving a big-rig and at least three other vehicles, was reported at 10:46 a.m.
At least one major injury has been reported. The accident cleared and lanes reopened at 11:45 a.m.